WHO: Snake bites a global health priority - Healthcare Asia Daily News | Asia's Leading News and Information Source on Healthcare and Medical Industry, Medical Technology, Healthcare Business and R&D, Healthcare Events. Online since 2010. : Healthcare Asia Daily News | Asia's Leading News and Information Source on Healthcare and Medical Industry, Medical Technology, Healthcare Business and R&D, Healthcare Events. Online since 2010. The World Health Organization (WHO) recently passed a new resolution stating that snake bites have become a “global health priority”. According to The WHO complications caused by these attacks make the phenomenon one of the most overlooked of tropical diseases. The world health body is set to provide cheaper antidotes and training in its plan of action to tackle the issue. Between 81,000 and 138,000 people are killed by snake bites every year.The resolution aims to ensure that countries follow a common strategy in the prevention, treatment and management when dealing with such attacks. According to the World Health Organization (WHO), around five million snake bites occur each year, although venom is only injected in just over half of cases. From blindness to amputations, hundreds of thousands of people are left with permanent disability after being attacked by snakes. The WHO describes such cases as among the most neglected tropical diseases. 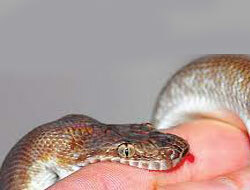 The majority of snake bites take place in densely populated areas of sub-Saharan Africa, South Asia and South-East Asia. Poor, rural populations are at particular risk from snake bites, as they often lack access to antidotes or may turn to traditional treatments. Many of the worst affected countries do not have their own facilities for producing antivenoms, which must be quickly administered to prevent or halt the damage caused by toxins. What happens when a venomous snake bites? Venomous snakes generally fall into two categories. Snakes with fixed fangs usually use neurotoxic venom which affects the nervous system and breathing, while other species have folded fangs which are only used when attacking prey or threats. Their toxin usually destroys skin tissue and causes internal bleeding. Which snakes have the most toxic venom? The most toxic venom of any land snake is found in Australia’s inland taipan. But while the snake is said to have enough venom in one bite to kill 100 men, there are no recorded human deaths from a bite by the species, thanks to its shy and reclusive nature, its remote location and the widespread availability of anti venom in Australia. Sea snakes are also highly venomous, but because of their limited contact with humans, bites are relatively rare. The less-venomous but still highly dangerous black mamba and the coastal taipan (native to Australia) pose a more immediate threat to humans. Both come from the same family of snakes and their venom is more fast-acting than that of other snakes, meaning that without treatment a bite victim can die in less than half an hour. The black mamba is in fact brown or olive, but gets its name from the colour of the inside of its mouth. It is found in much of Sub-Saharan Africa and grows to over 10ft (3 metres) in length. Which snakes cause the most deaths? In terms of numbers of snakebite cases and fatalities, the relatively small saw-scaled viper is one of the most deadly snakes. It is found from West Africa to parts of the Indian subcontinent and most often bites after dark. In India, where around half of snake bite deaths worldwide are thought to take place, the saw-scaled viper is one of four species which together account for the highest number of human fatalities. What should you do if you’re bitten by a snake? Remain calm and seek immediate medical attention. It is also important not to try to handle or capture a potentially venomous snake. Even dead snakes should be handled with caution, as the nervous system of recently killed specimens may still be active and can deliver a venomous bite.